First, there is Goedde’s data-privacy protection bill S1296. It is not a good bill and we won’t be supporting it at all. It does very little because it defers to FERPA. We hope to have a better Data Privacy Bill done quickly. Second, Janet Trujillo’s Parental Rights Bill H0499. It needs our full support, DeMordaunt has decided to sit on it for a while. He needs to be contacted and told to let it be heard in committee. We have a few questions regarding Senator Fulcher’s Bill S1343. This bill brings the executive branches power back into alignment with the constitution requiring any multi-state agreement the SBOE or SDOE enters into to have legislative approval. We’d like to see multi-agency agreements added to it if possible. 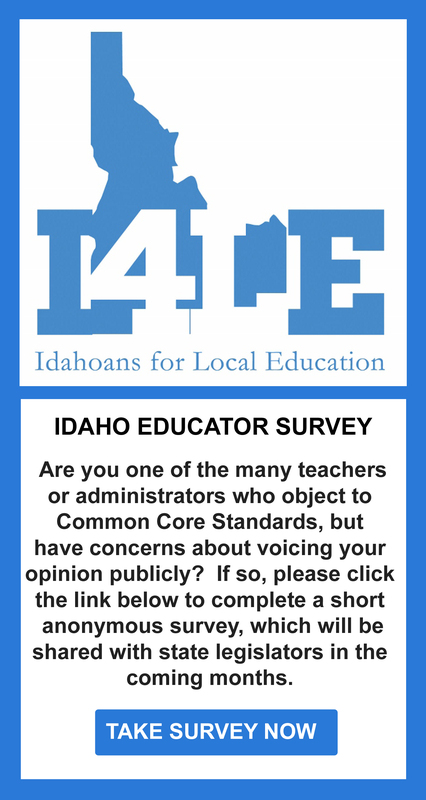 We’re still waiting and hoping for a bill to remove Idaho from the SBAC. There is a resolution that is to be introduced, but it has no teeth in it. It is more just a political statement. That’s your legislative round up for today. Please write to your senators and representatives tell them to support these bills. And don’t forget about our Opt Out page. SBAC tests are coming up this April.